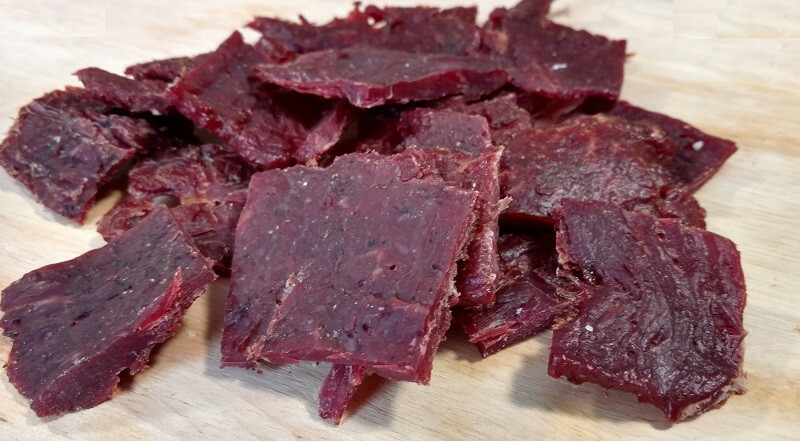 This spicy jerky is coated in red pepper flakes. Not for the feint of heart! This spicy jerky is coated in red pepper flakes. Not for the feint of heart!..